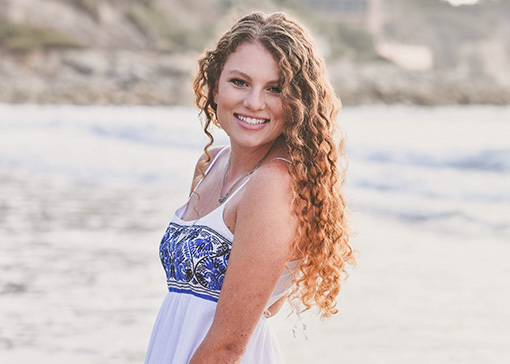 Alyssa, born and raised in sunny California, is continuing to thrive in the beautiful town of Isla Vista where she is pursuing her undergraduate degree in Communications at the University of California, Santa Barbara. Her multifaceted personality fosters her creativity and perfection in her work as our social media account manager. A lover of podcasts, home-made Italian food, and the newest fashion trends, you can find Alyssa deepening her innovative imagination even on her off days. Whether it be spending time with family or hanging out with friends, Alyssa never fails to brighten up a room, or better yet help her peers perceive the world through her optimistic and artsy perspective of life.